Spirulina is well-known as a balanced nutritious food while the high fiber cereals are usually recommended by nutritionist. 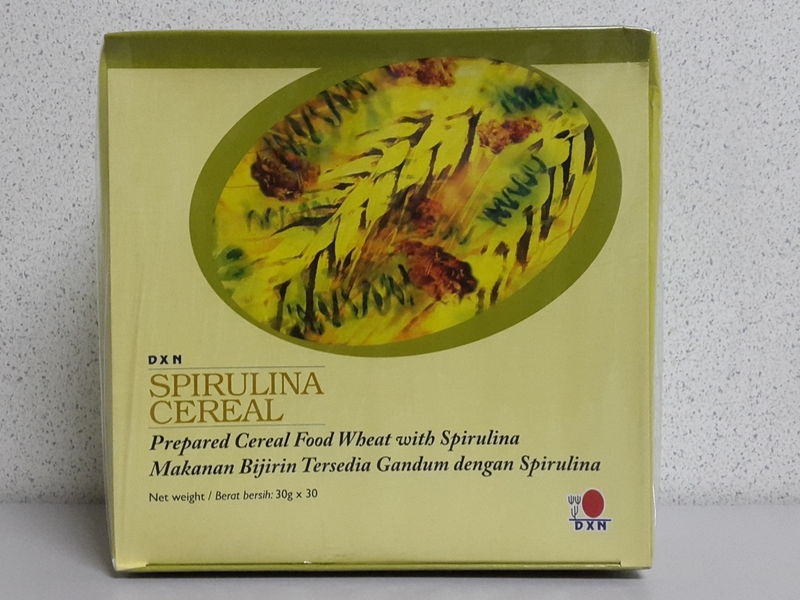 DXN Spirulina Cereal is made from high quality cereal and spirulina powder and one of the best nutritional sources. Cereal (Wheat, Barley, Corn, Rice, Soya Bean), Non Dairy Creamer, Malt extract (Barley), Spirulina Powder and contains permitted flavouring substance (Vanillin).